All New Adobe Creative Cloud 2014 is Here! [ #Adobe #CreativeCloud ]Adobe the leader in creative software, today continued to drive Creative Cloud innovation by announcing 14 new versions of CC desktop applications, including essential tools such as Adobe Photoshop CC, Adobe Illustrator CC, Adobe Dreamweaver CC and Adobe Premiere Pro CC. The biggest Adobe software release since CS6, it also includes four new mobile apps, the immediate availability of creative hardware, updates to Creative Cloud services and new offerings for enterprise, education and photography customers. Yesterday, Adobe announced that there are now over 2.3 million Creative Cloud subscriptions, far exceeding original projections when it was unveiled two years ago. Delivering on mobile innovation, Adobe launched three new mobile apps for iPad Adobe Sketch, Adobe Line, and Adobe Photoshop Mix; and began shipping new creative hardware called Adobe Ink, a new digital pen, and Adobe Slide, a new digital ruler (see separate release). The mobile apps were developed using a new Adobe Creative SDK that unlocks over 30 years of Adobe innovation and makes it available on mobile devices for the first time. These new apps are professional-grade quality but easy enough for anyone to use, similar to the recently launched Lightroom mobile for photographers and Adobe's new animated video app for storytelling, Adobe Voice, which were also updated with this release. These powerful, yet easy-to-use apps add significant mobile capabilities to Creative Cloud, integrate workflows with the CC desktop apps and bring tablets into serious creative workflows for the first time. -New capabilities in Photoshop CC for photographers such as, Blur Gallery motion effects for creating a sense of motion; Focus Mask that makes portrait shots with shallow depth of field stand out; new Content-Aware capabilities; and the recently introduced Perspective Warp for fluidly adjusting the perspective of a specific part of your image without affecting the surrounding area. 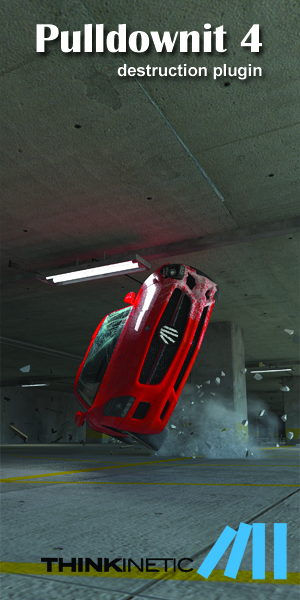 Designers using Photoshop CC will enjoy enhanced Mercury Graphics Engine performance as well as the ability to link Smart Objects and share them across multiple documents. With improved Layer Comps, users save time by changing the visibility, position, or appearance of one layer and simply syncing to see the change reflected in all other Layers. Photoshop CC also has ability to pinch and zoom images, create smoother strokes, and deliver a more responsive experience on Windows 8 Touch devices, such as Microsoft Surface Pro 3. -Also for designers, new capabilities in Illustrator CC include Live Shapes to quickly transform rectangles into complex shapes and then return to the original rectangle with just a few clicks, as well as faster rendering of vector graphics with GPU acceleration on Windows with an Adobe-certified NVIDIA graphics card. In InDesign CC, layout artists can now select table rows and columns and use EPUB Fixed Layout to easily create digital books. Adobe Muse CC now includes 64-bit support, HiDPI display support for sharper-looking images, objects, and text, and the ability to preview and optimize desktop, smartphone and tablet versions of your sites before going live. -New features in the video apps include: Live Text Templates and Masking and Tracking - new integrations that leverage the power of Adobe After Effects CC inside Adobe Premiere Pro CC. 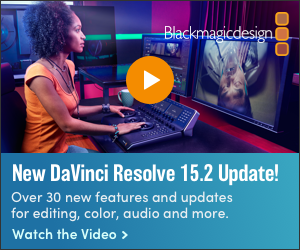 Race through projects thanks to enhanced graphics performance in Premiere Pro; precise new keying effects in After Effects; a more flexible Direct Link color pipeline in Adobe SpeedGrade CC; and enhanced multi-track tools for audio work in Adobe Audition CC. Integration between apps has also been further improved to save time when working between Premiere Pro and After Effects or SpeedGrade. -Web tools now include the ability to look at the markup in a document using the new Element Quick View in Dreamweaver CC, which allows Web developers to easily see, navigate, and modify the HTML structure of pages. CSS Designer improvements help apply CSS properties like gradients, box shadows and borders and then easily undo. SVG export in Flash Pro CC lets developers export any frame in Flash projects as an SVG file, while native HTML video support in Edge Animate CC allows the direct import of HTML5-friendly video clips. The new CC desktop apps, mobile apps, and hardware are tightly integrated through Creative Cloud services. This integration helps liberate the creative process by enabling users to access and manage everything that makes up their creative profile their files, photos, fonts, colors, community and more from wherever they work. Also introduced today is the new Creative Cloud app for iPhone and iPad that allows users to access and manage their files, assets, and more from their mobile device. Adobe Creative Cloud for enterprise is an offering designed specifically for large-scale software deployments that works with other Adobe enterprise offerings such as Adobe Marketing Cloud, Acrobat, Adobe Anywhere, and Adobe Digital Publishing Suite. Updates include more services with collaboration and file storage, expanded options for deployment, and a new dashboard for managing users and entitlements. For education, Adobe now has a device-based licensing offer for classrooms and labs, which allows multiple users to access software on a single device rather than tying it to an individual with an Adobe ID, critical in an environment where students come and go. And for photography customers, Adobe has introduced a new Creative Cloud Photography Plan for $9.99 per month (see separate press release). Today's updates to CC desktop tools are immediately available for download by Creative Cloud members as part of their membership at no additional cost. The new mobile apps are free to everyone. To join Creative Cloud, special promotional pricing is available to existing customers who own Adobe Creative Suite 3 or later. Membership plans are available for individuals, students, teams, educational institutions, government agencies and enterprises. To download free trials of any of the new Creative Cloud desktop apps. 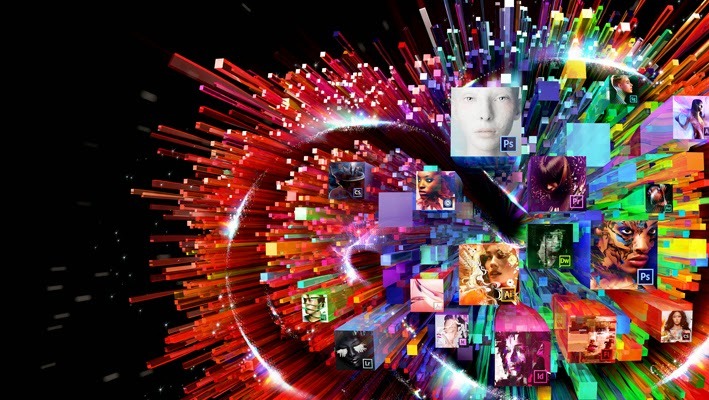 CG Daily News: All New Adobe Creative Cloud 2014 is Here!